The MLB baseball season is winding down, and even though the Commissioner seems to add new teams each year to the playoffs, there aren’t that many dramatic races going on, other than Astros-Rangers and the AL wild card (although even the slight possibility that the Cardinals collapse and lose their division fills me with hope). To fill the void, let me announce the Baseball “Sammies”: my picks for the top awards for this season. I base my picks heavily on advanced (i.e. sabermetric) stats, so things like batting average and RBIs and “clutchiness” don’t really matter to me, as they don’t represent well how much a player really helps his team. Most of my awards match the major awards given at the end of the season, but I’ve got a few additional ones as well. (Note: all stats are as of 9/17/15). Harper has been a beast this year and is fulfilling the potential that put him on the cover of Sports Illustrated at the age of 16. It’s too bad the Nationals have been such a disappointment, but that shouldn’t diminish the awesomeness that is Harper. He might even make the Harper vs. Trout debate a real thing. I just assumed that I would give this to Mike Trout every year for the next 10-12 years, but Donaldson has really been impressive this year. The two have been close to each other in value (7.8 WAR for Donaldson vs. 7.4 for Trout), but Donaldson being on a better team (which usually isn’t a big factor for me) does nudge Trout out. This is the all-Dodger division, as it comes down to Kershaw or Zack Greinke. I really thought it would be Greinke, but when I looked at the numbers a little more closely, I think Kershaw edges him out. He has a better K/9, better FIP, and better xFIP. And his WAR is 7.4 vs. 5.6 for Greinke. 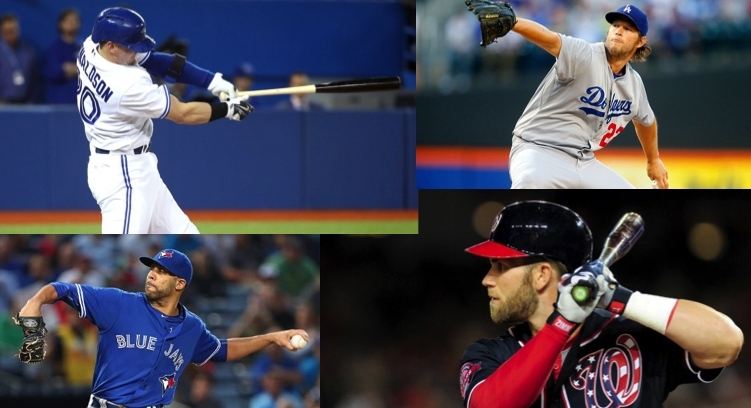 Honorable Mention: Zack Greinke, Jake Arrieta. Price has been a beast since being traded to the Blue Jay, and I’m really glad he’s on my fantasy team. He leads the league in ERA and has come up huge for the Blue Jays in their playoff chase. I considered Matt Duffy of the Giants, who has made San Francisco quickly forget the Panda, but the combination of Bryant’s raw power, higher expectations, and generally better advanced stats (wOBA, wRC+) make Bryant the better choice. This was closer than I initially thought, as Francisco Lindor has had a great season for the Indians. But with a crazy-high BABIP (.352) and lower wOBA than Correa, I decided to go for the young Astro. I also question the accuracy of the defensive stats for Correa, which don’t rate him very highly at this point. There are players who have more defensive runs saved, but Hamilton has played about 20 fewer games than them. Hamilton has only been a centerfielder for the past couple years, converting from shortstop, and in that time has come to dominate the position. He not only covers tons of ground, but he has great routes and can even make the spectacular plays. And he’s a Red. Another stud centerfielder, Kiermaier was originally called up a few years ago at the end of the season just to play defense (classic Maddon move). He leads the Majors in defensive runs saved, and makes any play that is anywhere close to him. 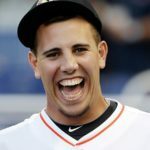 Fernandez barely played this year, but he wins it if he pitches one inning. With his back-story (Cuban defector, saved his mother’s life, etc.) and his talent, he has this locked up for years to come. 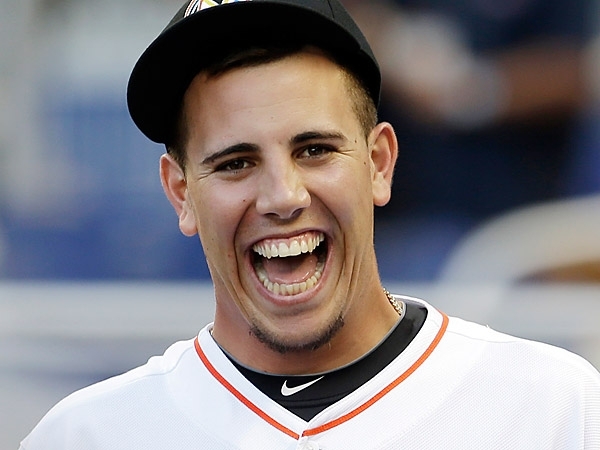 Let’s just call it the “Jose Fernandez Most Style Points Award”. 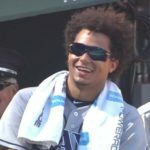 The battle for the Style Points award was more closely fought in the AL, with Chris Archer edging out Eric Hosmer for the top prize. Really, it just came down to the hair. Congratulations to all the winners – look for your prizes in the mail! Donaldson over Trout? No, no, no my friend. They’re too close to call on WAR (I don’t think .4 WAR is a whole lot of daylight) and Trout is unquestionably the better player. I can only shake my head in disappointment that you are even bringing up the question of being on a “winning team”. A guy shouldn’t be penalized because his teammates stink. In some ways it’s actually harder to perform at a high level on a crappy team. Also – you are missing an award for the Large Father of Boston. I know how much you love him, you need to give him something. Trout is unquestionably the better player than Donaldson, but I still think their 2015 is almost a virtual tie in terms of value, so something has to break the tie. Also, I think you misunderstood my comment about Donaldson being on the “better team.” I was referring, of course, to my fantasy team, on which Donaldson has been a beast.